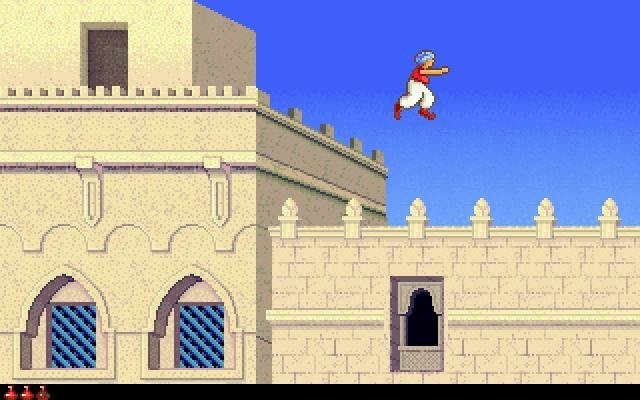 The original Prince of Persia had a story and purpose to it, but didn’t really go beyond the typical ‘defeat the bad guy, save the princess’ motif so common with cutesy fantasy games. 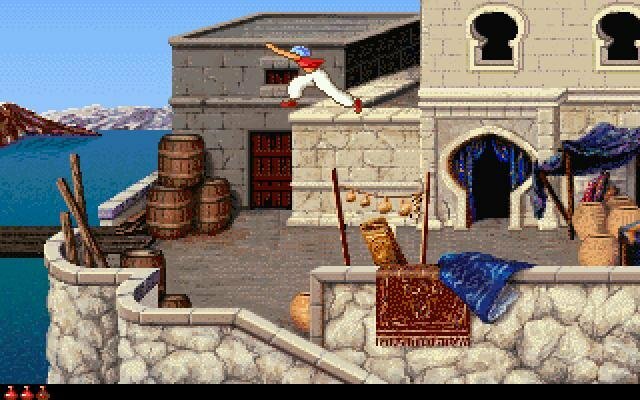 But it was a good enough narrative for a climbing and jumping game, which Prince of Persia undeniably was (it also included fighting, but it was secondary to the puzzles). 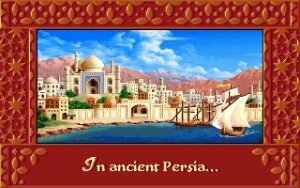 With Prince of Persia 2, Jordan Mechner – the original creator – decided to craft something fancier. 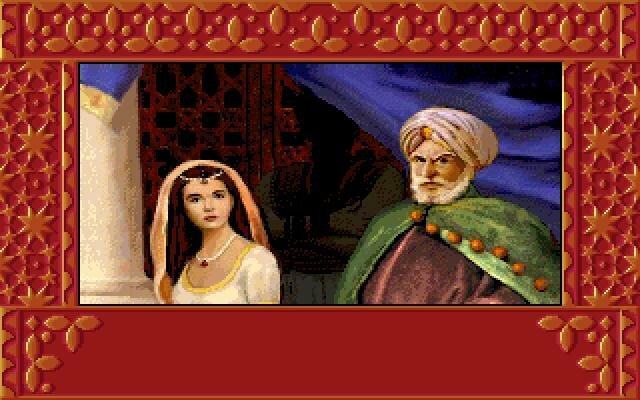 As the game opens, the princess and her suitor have been wed, leaving Jaffar to plot his revenge. 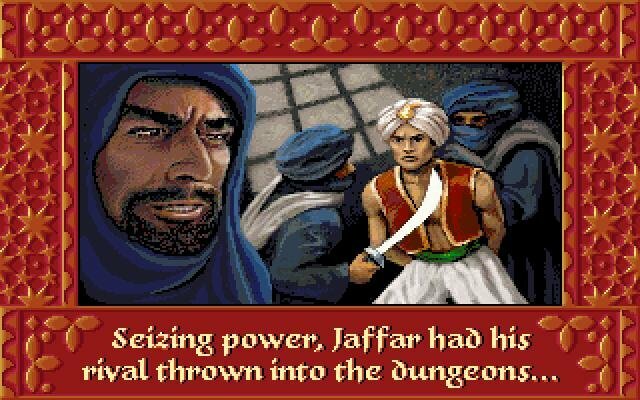 With some nifty magic, Jaffar manages to take the Prince’s form and assume his royal position, leaving our hero to fight to expose him. 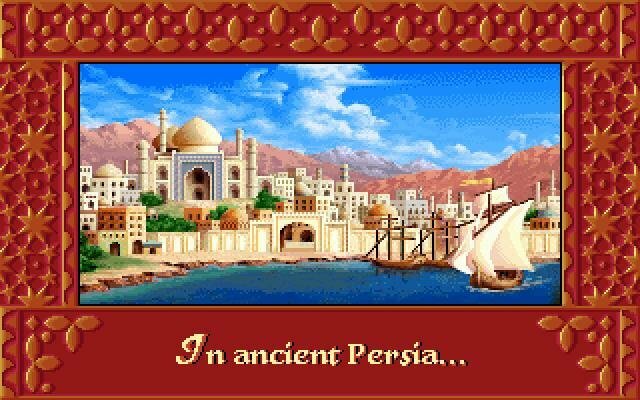 Unlike the first game, Prince of Persia 2 doesn’t take place in one singular palace, but will have you visit a number of locations both indoor and out. 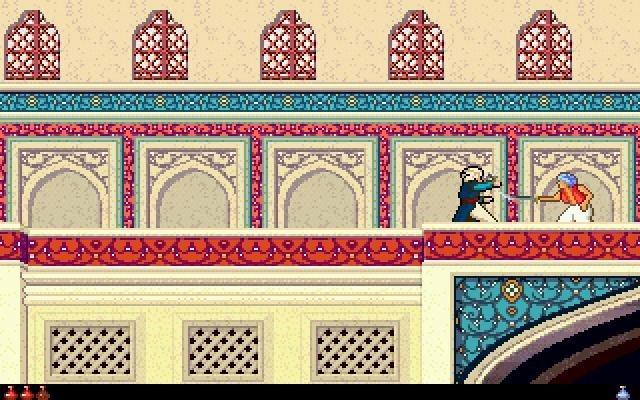 And despite the more complex story, the game is still a fun little climbing and jumping platformer – now with fancier graphics. 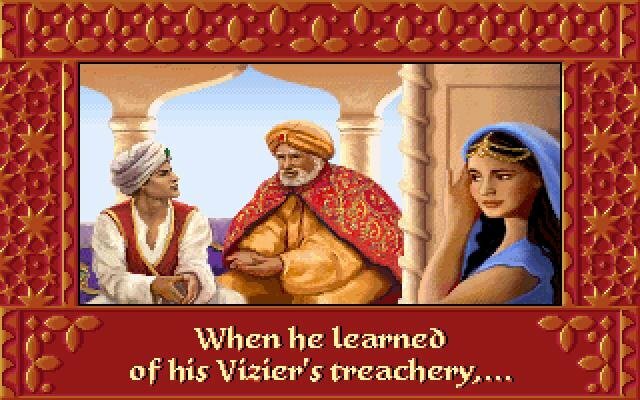 If you’ve found the first game difficult – as most of us have – then this isn’t your lucky day, because the sequel is even harder. Only the most resilient of players need apply, as the game is once again replete with many puzzles that must be solved with keen reflexes and a willingness to repeat until you’ve gotten it right. 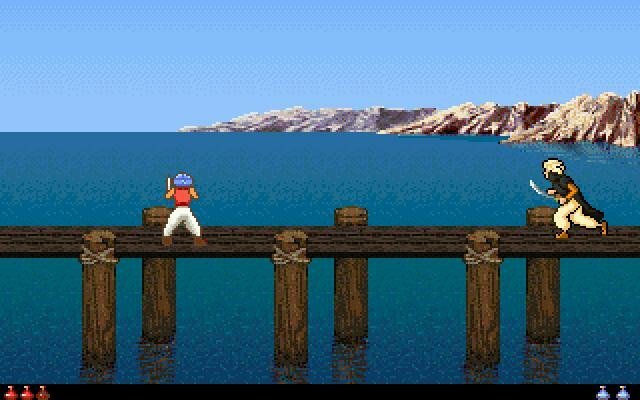 As before, the combat is secondary, though it is more complex now with the added variety of extra enemies with their own strengths and weaknesses. The environmental puzzles take the front row, however. 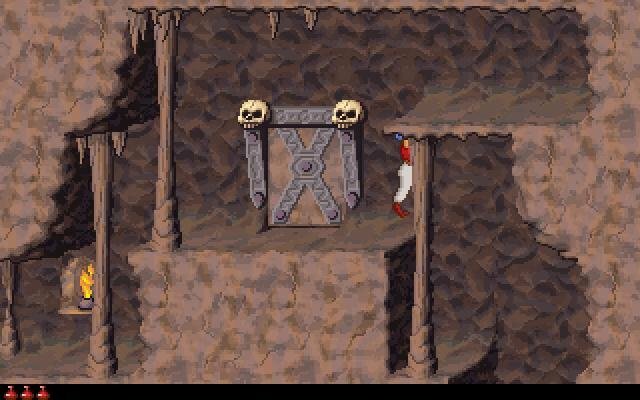 Saving is still a pain – although you can save a game at any time, restoring a saved game only places you at the start of a level, not at the exact position you’ve saved (like just before attempting a dangerous jump). This makes it annoying, and adds quite greatly to the repetitive nature of the more difficult puzzles. 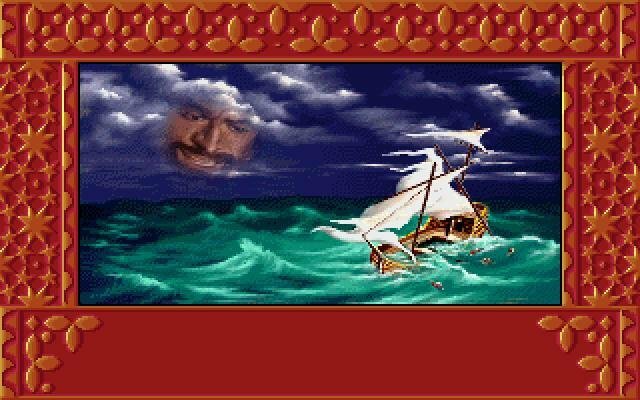 Yet one more headache is the timer – that old nemesis that you had to battle against during the first game. 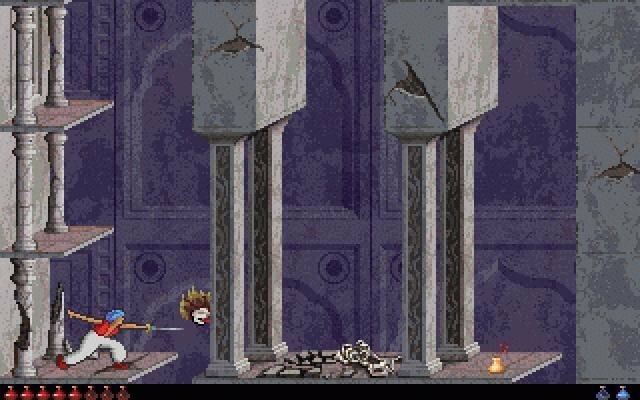 You don’t start with a timer in Prince of Persia 2, but through about one-fifth of the game you will encounter it, turning some difficult levels that rely a lot on careful planning and execution into a race – probably not the most inspired idea. 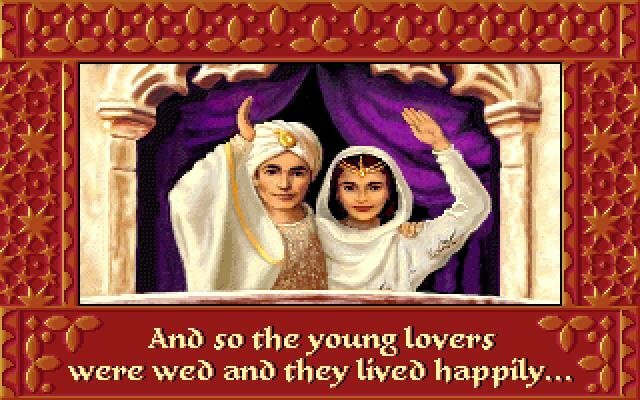 At the end of it all, with a proper saving system and somewhat less difficult puzzles, this game could have been more fun. 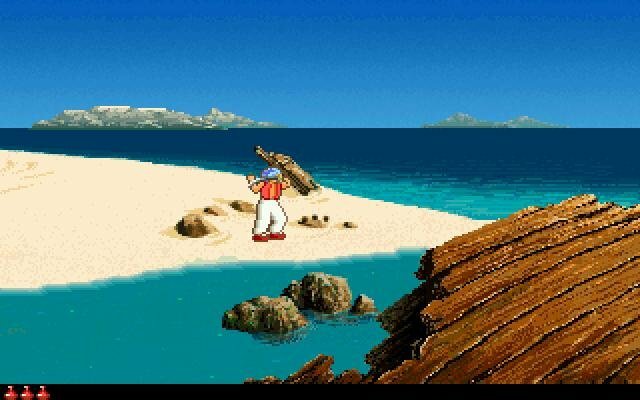 But the high difficulty risks making it too much of a headache for some players to go through. 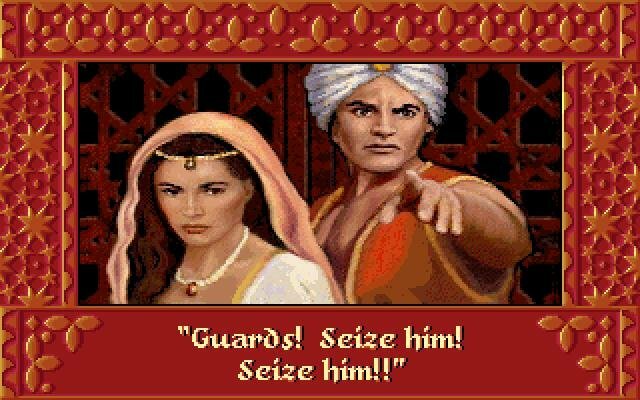 That being said, with some patience and skill, you can and will conquer Prince of Persia 2 – but don’t expect it to go down easily.